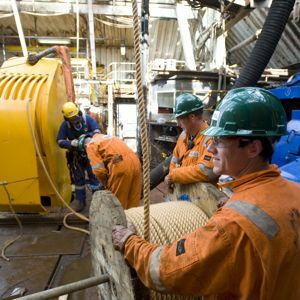 Energy services company Wood Group has won a $750M (£478M) contract from BP that will create 150 new UK oil and gas sector jobs. Under the five year deal Wood Group PSN (WGPSN) will provide engineering, procurement and construction services to BP upstream and midstream operations in the UK. This will involve works at six UK continental shelf offshore upstream assets and the Forties Pipeline System (FPS) onshore midstream facilities in Grangemouth. In addition to new job creation, the contract secures more than 700 existing positions. WGPSN already provides its services for six BP offshore assets – Clair, Magnus, ETAP, Andrew, Bruce, and the new Glen Lyon FPSO which is currently under construction and is due to come online in 2016. This new contract award marks the first time WGPSN has secured work for the FPS onshore facilities, and adds to the company’s current contract to support BP’s Sullom Voe Terminal in Shetland. WGPSN UK managing director Dave Stewart said: “Wood Group has more than 40 years of experience working with BP globally and this new contract is testament to the partnership and understanding we have developed. Effective from January 2015, the contract includes an option for two, one-year extensions. In the UK, Wood Group currently employs more than 10,000 people working onshore and offshore.